WOW!! This home is severely under priced for the extensive craftsmanship and upgrades! 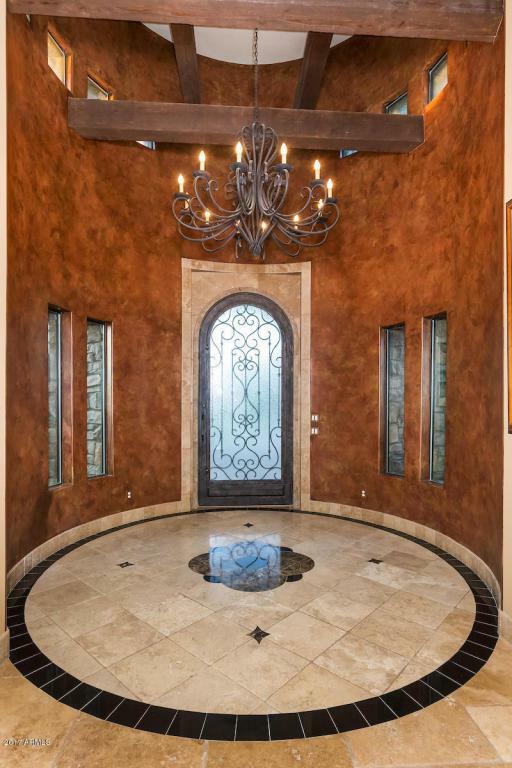 Impeccable custom home in the upscale gated community of Hermosa​Estates​. This luxury property boasts pride of ownership and features incredible upgrades from the 18 ft tall entryway all the way to the paradise like backyard. Solar Panels on the home keep power bills extremely low and efficient! Beautiful travertine floors, offering plush carpet only in three of the four bedrooms. Breathtaking gourmet kitchen with Viking Appliances, custom cabinetry, and cultured marble and granite counter tops giving tons of space. Extensive walk in pantry, separate ice maker, and gorgeous grand windows allowing plentiful natural sunlight, this kitchen is truly a chef's delight!Amazing open living room just off the kitchen gives the great open feel with the multi level ceilings, elegant bar, perfect for entertaining. 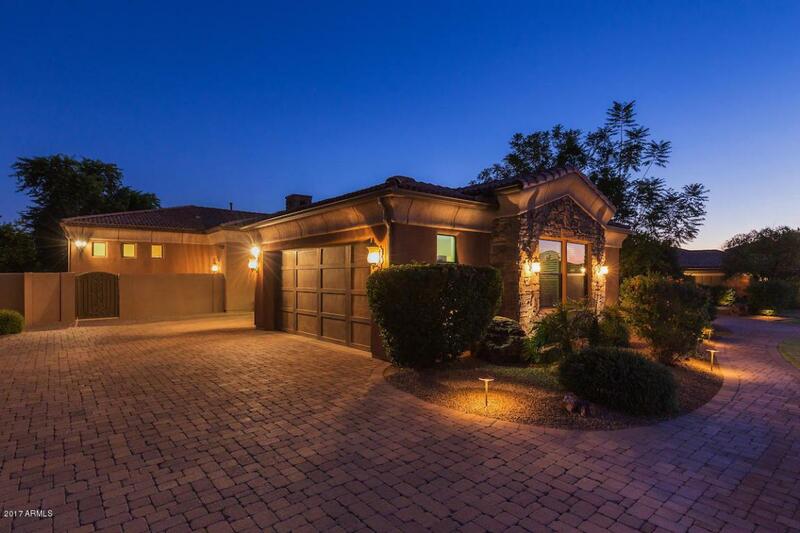 The highly sought after split floor plan features immense master privacy. The romantic master bedroom has crown molding, warm tones, and a cozy siting area with custom chandelier and elegant fireplace for those perfect evenings at home. Master bathroom has it all, dual sinks, beautiful deep soaking tub with views of the luxurious backyard, and walk in rain shower. The master closet is that of dreams, boasting with tons of custom cabinetry! Just off the master bathroom is a private room, excellent for an in home gym or office with separate exit to the backyard. Secondary bedrooms on west side of home are all large and feature walk in closets. Private bathrooms attached making two of the rooms ensuites, excellent for out of town guests or the on the go college student. This backyard is any homeowners dream! Impressive sparkling salt water pool with cascading water features, electronic sun shades for optimum privacy, and built in gas BBQ all on the massive patio of travertine. 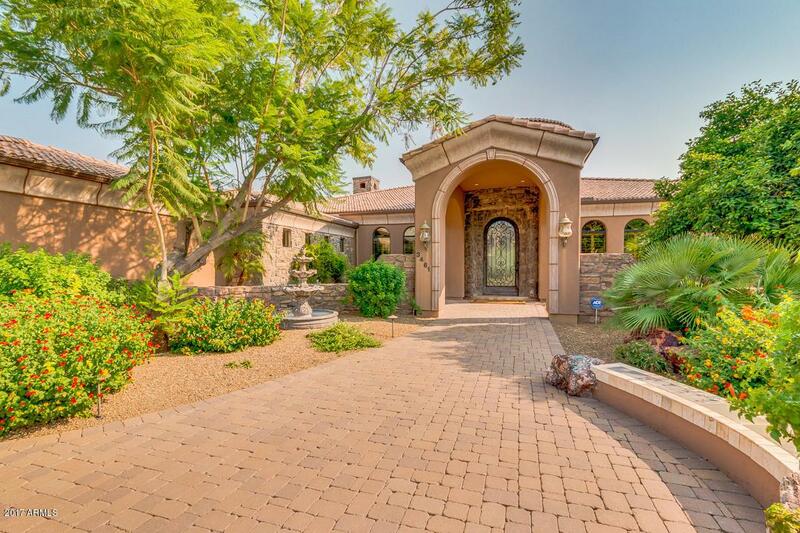 Escape to this elegant oasis just steps from the over sized glass doors off the living room. Last but not least, this jaw dropping garage spared no expense! Four car spacious extended garage for the up most car enthusiast. Garage also offers a large room that is climate controlled for all of your storage needs.